Whenever we need to communicate in secret, a cryptographic key is needed. For this key to work, it must consist of numbers chosen at random without any structure – just the opposite of using the birthdate of our favourite pet. But, for a human, it is extremely difficult to choose without creating any bias, even by hitting the keyboard chaotically. To solve this problem, researchers from the University of Geneva (UNIGE), Switzerland, have developed a new random numbers generator based on the principles of quantum physics. This physical theory, full of phenomena that run counter to our common sense, shows that certain physical events occur perfectly at random, making them impossible to predict. Unlike previous methods, the new system allows the user to verify the reliability of the random numbers it generates in real time. This work, to appear in the scientific journal Physical Review Applied, will greatly complicate the tasks of hackers who can no longer exploit bias resulting from human fallibility or possible imperfections in existing devices. For the past twenty years, researchers have turned to quantum physics, characterised by its completely random and unpredictable processes, for developing new cryptographic techniques, and in particular the generation of random numbers. "Send a photon (a particle of light) onto a semi-transparent mirror. Either it gets transmitted through the mirror, or it gets reflected. But it is impossible, even in principle, to predict beforehand which of these two behaviours it will adopt. 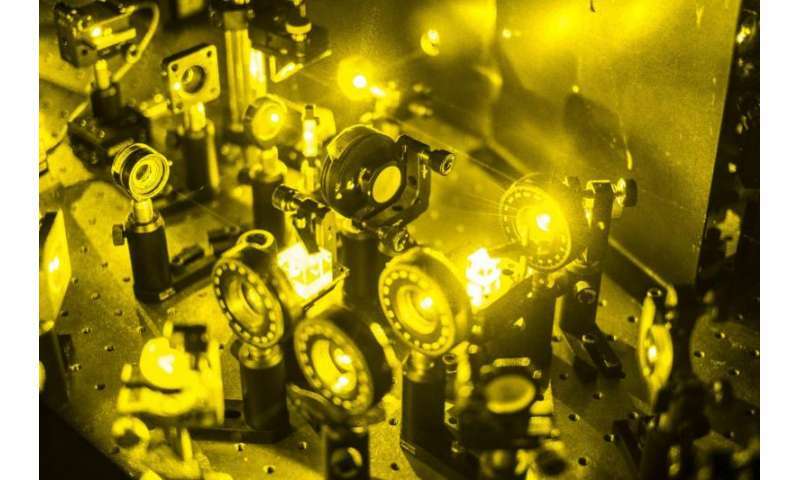 This is the basic idea behind quantum random number generation" explains Nicolas Brunner, professor at the Department of Applied Physics at the Faculty of Science of UNIGE and responsible for the theoretical aspects of the new research. Powerful quantum random number generators are today available commercially. However, one limitation of existing devices is that it is impossible for the user to independently verify that the numbers generated are in fact genuinely random and not, for example, composed of digits of π. The user must trust the device (and so its manufacturer) to function correctly, even after years of use. So, it makes sense to ask if current systems could be improved from this point of view. And this in a world where many people, and organizations, leave the default password in place after buying a system.